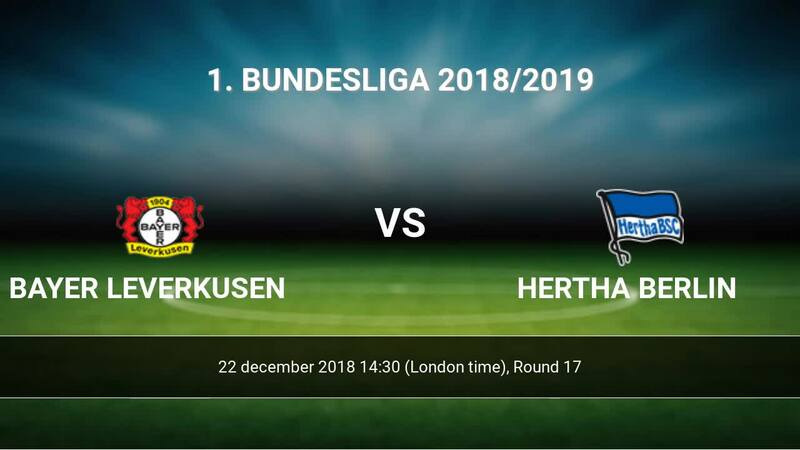 Match Bayer Leverkusen-Hertha Berlin 1. Bundesliga the fixture is set to kick-off today 14:30 on BayArena. Refereee Tobias Stieler. Team Bayer Leverkusen is located in the middle of the table. (10 place). In 5 last games (league + cup) Bayer Leverkusen get 10 points. at home from 2 matches team have not been defeated. The best players Bayer Leverkusen in 1. Bundesliga, who scored the most goals for the club: Kevin Volland 5 goals, Kai Havertz 4 goals, Karim Bellarabi 4 goals. Players with the most assists: Kevin Volland 2 assists, Kai Havertz 2 assists, Karim Bellarabi 1 assists. Team Hertha Berlin is located in the middle of the table. (8 place). In 5 last games (league + cup) Hertha Berlin get 8 points. From 2 matches can't win a match. In this season games 1. Bundesliga the most goals scored players: Ondrej Duda 7 goals, Vedad Ibisevic 6 goals, Valentino Lazaro 2 goals. 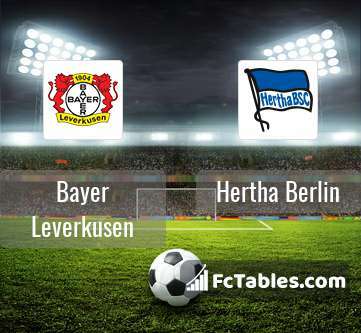 They will have to be well guarded by defense Bayer Leverkusen. Most assists in the club have: , Vedad Ibisevic 1 assists, Valentino Lazaro 3 assists. Injured players Hertha Berlin: Per Ciljan Skjelbred, Karim Rekik, Niklas Stark, Salomon Kalou, Lukas Kluenter, Marko Grujic, Julius Kade, Derrick Luckassen, Marius Gersbeck. 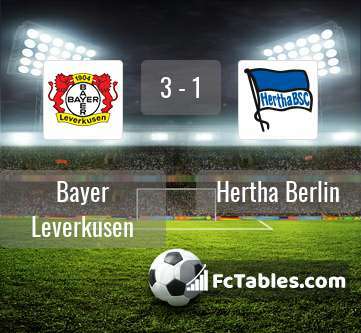 Direct matches: Bayer Leverkusen won more direct matches. 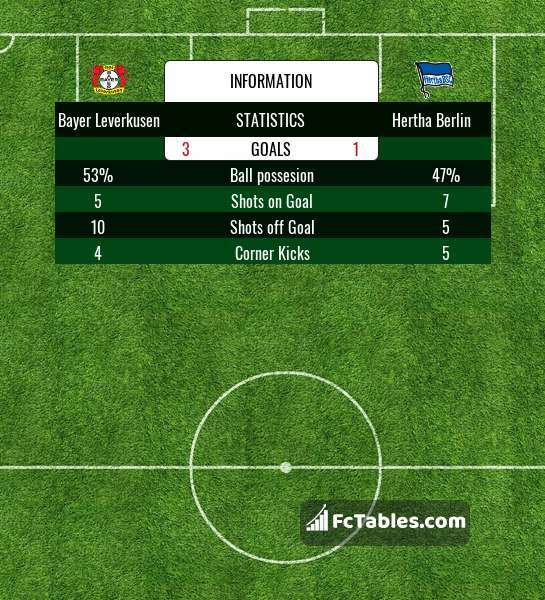 Bayer Leverkusen won 17 matches , Hertha Berlin won 10 direct matches, was a 9 draws. In 26 matches the sum of the goals both teams was greater than 2.5 (Over 2.5), and 31 matches teams scored more than 1.5 goals (Over 1.5). In 28 matches the both teams scored a least one goal (Both teams to score).